Our Bone Dust Scraper is made of durable, stainless steel and has an ergonomically designed handle for a sure grip in wet or dry situations. 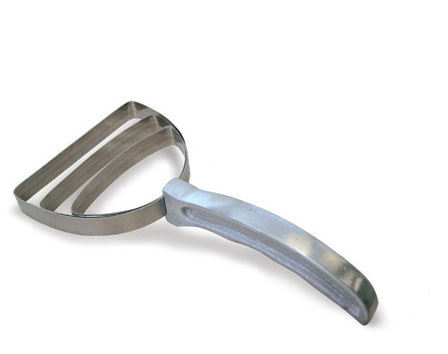 It is a must have tool for any butcher shop or restaurant kitchen. Having your very own Bone Dust Scraper shipped right to your restaurant, butcher shop, or home is simple too. Just add this to your shopping cart.